How Far is Satyam Bellagio? 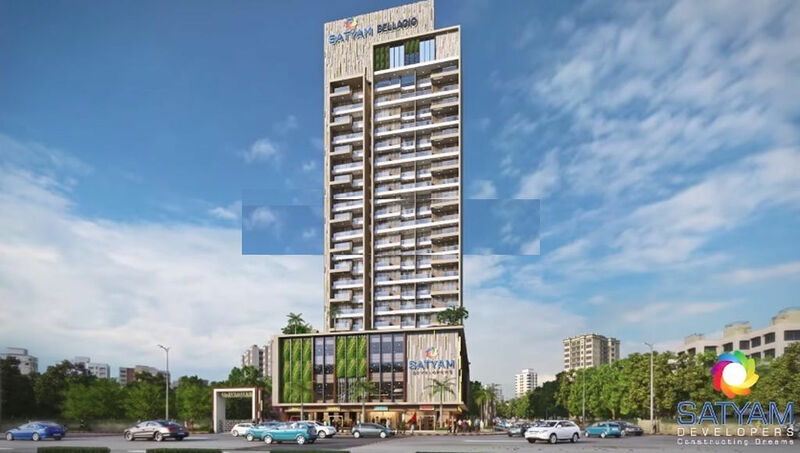 Destined in the most sought after location of Sanpada, Navi Mumbai is a meticulous project known as “Satyam Bellagio”, this alluring gemstone is brought to you by the top builders in the city, Satyam Developers. This astonishing project structure has the best infrastructure, inspired by Italian architecture. This magnificent abode offers you compact and spacious 2BHK apartments for with a dimension of 486 - 516 sq. ft. as well as 3BHK with a dimension of 704 sq. ft. and are well - equipped with modern day amenities and top-notch facilities. These apartments are perfect for an iconic lifestyle and offer you a comfortable and elegant living experience. This project is comprised of G+22 storeys and it caters to the class of people who seek exclusive lifestyle and a modern home, it offers you secured life where the coziness of your privacy meets your enthusiasm for community living. It has got innovative and unmatched designs. Each storey provides you with breathtaking views of the city and they have got well - ventilation and have ample natural light in the rooms. It is surrounded by a peaceful and serene environment, letting you breathe fresh air and indulge in a very relaxing surrounding. Dotted with the finest schools, hospitals, public parks, shopping malls and other civic utilities.